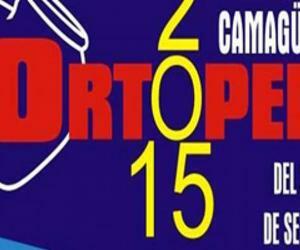 From 21 to 26 September Camagüey will host the XXVI International Congress of Orthopedics and Traumatology. The sessions and workshops will be held at the Convention Center Santa Cecilia and the Main Theater. The meeting, in which the latest Cuban achievements in the field of orthopedic will be presented, will gather specialists in the field from 26 countries, within which are Brazil, USA, Mexico, Panama, Puerto Rico, Peru, Dominican Republic and Venezuela. The meeting will serve to exchange experiences, procedures and techniques among the 500 delegates attending. Likewise, 25 foreign trade companies will share experiences of the most recent news in the field of orthopedics.